Finished another one this week. This painting started with the silhouette of a buck and I then I free-handed the details. I used a few new paint colors that I picked up courtesy of some sweet Christmas cash. 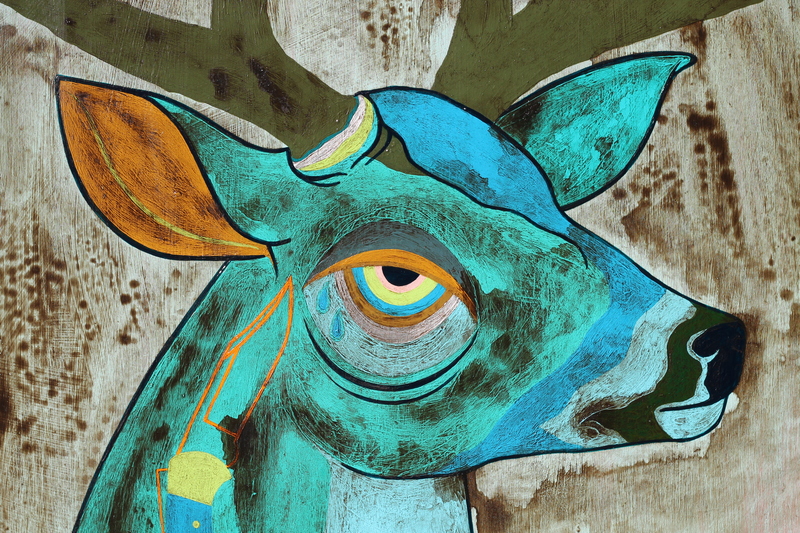 On this one I also left some parts of the panel raw and I really liked how that turned out – especially with the buck. It definitely adds to the natural feel. 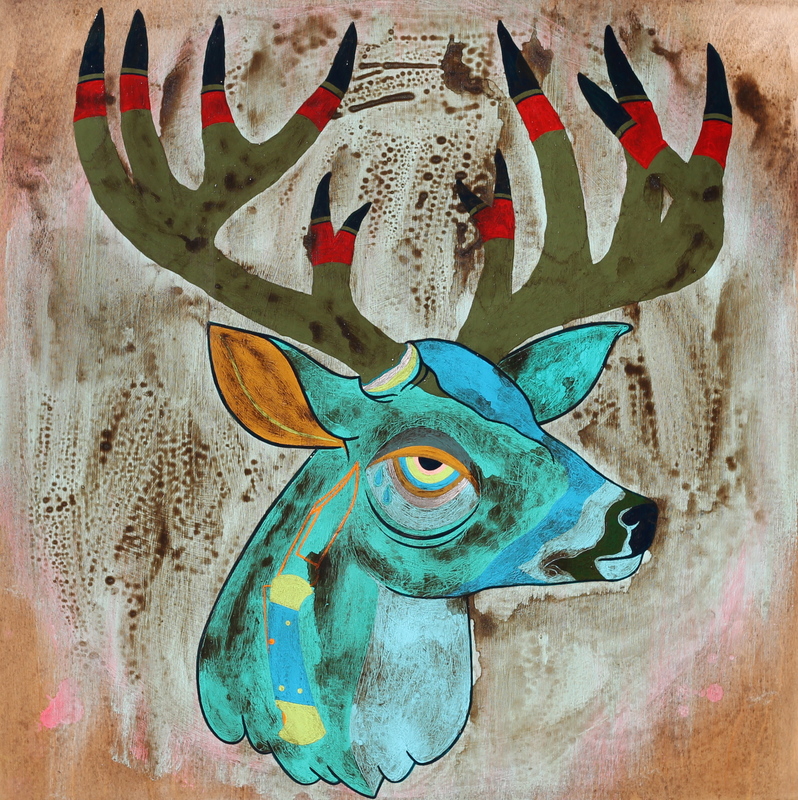 Of course, the color scheme of the actual buck is anything but natural, its more like war paint. I used the same acrylic wash and gloss varnish to finish this piece as I have with many of my others.